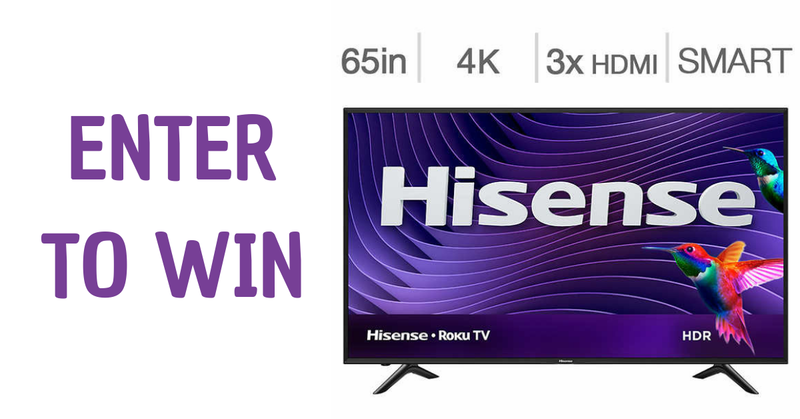 Win a Hisense 65 in 4K Roku Smart LED TV! WhatsYourTech.ca is giving away a prize I think most of us would love to be the winner of! Fill out their contest entry form for your chance at winning. This is a one entry per person contest, and subsequent entries won't be counted. The contest is open to residents of Canada but does exclude Quebec. PRIZES: There will be one winner. The winner will Win a Hisense 65R6107 65-in. 4K Roku Smart LED TV!. Prize value $739. On February 18, 2019 a draw will be held in Toronto to pick the winner. Make sure to enter all the right information on your entry form as ID will need to be provided to claim your prize. Contest dates are: January 18 - February 17, 2019.